Do you hate when you just want a hair trim and you end up losing over an inch or more because of split ends? So do we, but a Los Angeles stylist has a solution. As an alternative to a traditional haircut, you can try hair dusting. If you’re really focused on keeping your hair’s length — and have a lot of time — this may just be the hair care plan for you. The Los Angeles hairstylist Sal Salcedo of the Benjamin Salon is bringing hair dusting awareness to the world. "Hair dusting is a technique in which you don't get rid of any hair length, but only the damaged hair tips," Salcedo told Refinery29. "This can be done by snipping the very bottom of each hair strand." Salcedo even mentioned how some cultures use fire to remove just the damaged hair. He’s most likely referring to Brazil’s velaterapia or candle cutting, which was in the news a couple years ago and has been around since the 1960s. 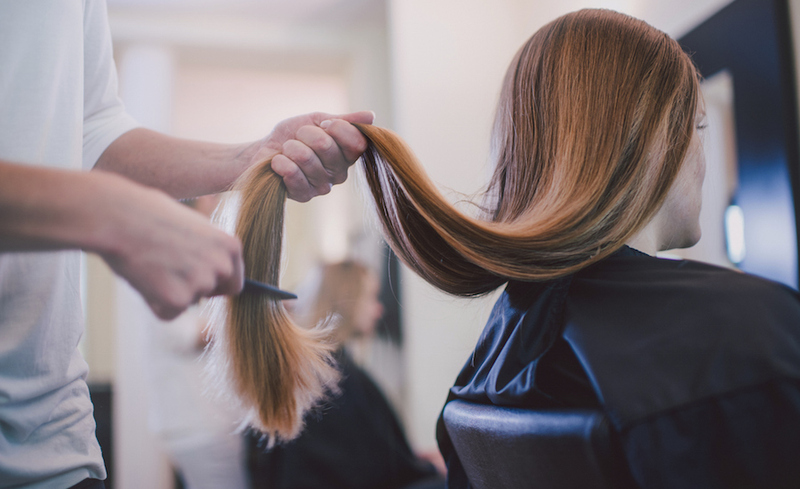 If you think hair dusting looks as magical as we do, then see if your salon will do the treatment since we recommend going to a professional to try it out. Seriously, not only is it fun to watch, but it leads to fabulous results. Sure, you’ll see still need haircuts every now and then, but it’s a great way to keep long and healthy hair.